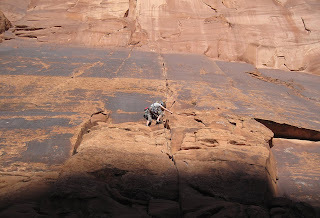 I was a paddler long before I was a climber, so I am used to the idea of rating difficulty in terms of the total problem not the single hardest move. In whitewater, when grading the difficulty of a rapid you factor in everything from technical difficulty to length and consequences. A very short rapid with a large, safe pool at the bottom would get a lower rating then a rapid that was just as difficult but is backed up by a long, dangerous runout. A long series of moves at the same difficulty would get a higher rating than any of individual moves on their own. 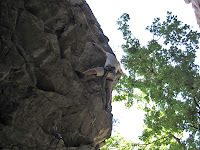 I became a rock climber through mountaineering. It started with an ascent of our local mountain Mt. Sopris (12,953’). Needless to say that after that first, fateful climb an addiction to the high country ensued and I found myself spending nearly all of my free time researching and climbing as many mountains as I could. 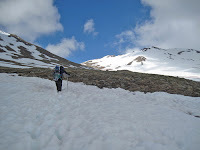 Time that would have been better spent studying for finals and writing papers was instead spent studying topos and researching mountaineering history. I climbed many easy (class 2 or lower) Colorado peaks and tiptoed into class 3 with routes such as East Slopes of Snowmass Mountain, and the Sawtooth. Soon I was drawn into the class 4 mountains and, feeling strong, I couldn’t help but dream of what lie beyond. 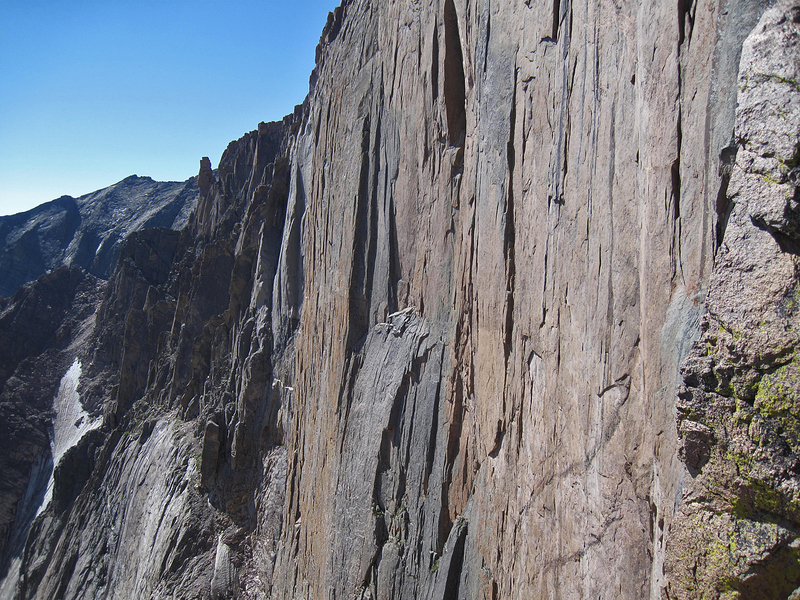 Arriving at Longs Peak near the end of a twenty-fourteener summer to attempt the Keyhole Route, I couldn’t help but look at the amazing cliffs and bastions of the north and east faces and dream of ascending it by a technical route. Kiener’s route on Longs Peak beckoned to me with a siren call. 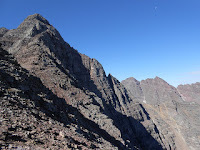 I had to learn technical climbing skills so I could climb these high peaks. 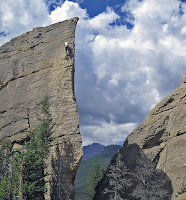 Today I have become just as addicted to rock climbing as its own pursuit as I am with mountaineering and alpine. 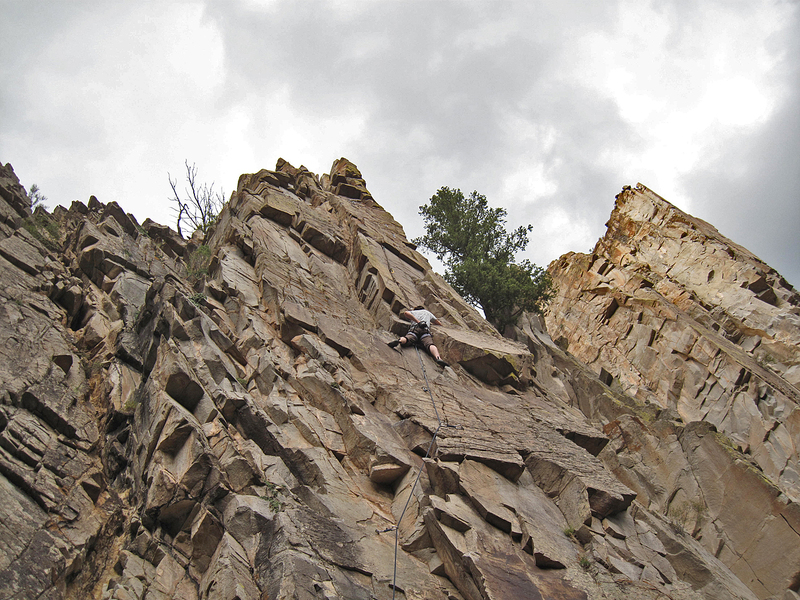 I will always be a climber with a lust for something bigger than the crag, but I also love the relaxing simplicity of cragging at any of the climbing walls near my home in Glenwood Springs, Colorado. One of the things that fascinates me about both rock and mountain climbing is grading terrain. At once rating terrain is both amazingly subjective and intricately precise. How can it be both of these things? In the United States we are stuck, for better or worse, with the Yosemite Decimal System. It might be useful to review a little YDS history. The YDS system started when the Sierra Club needed a way to grade various hikes and climbs in the Sierra Nevadas. 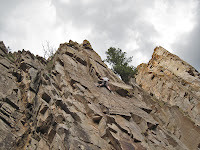 They created five “classes” from class 1 (trail walking) to class 5 (technical rock climbing). 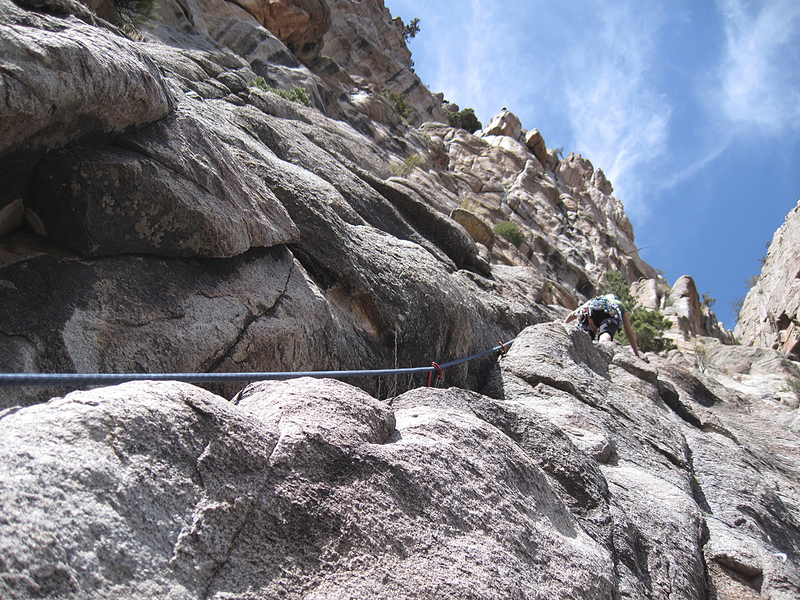 A few years later, climbers at Tahquitz Rock found it necessary to subdivide the 5th class grade which encompassed a very large range of possible difficulty. The climbers of the era devised a decimal-based scale that went from 5.0 to 5.9. 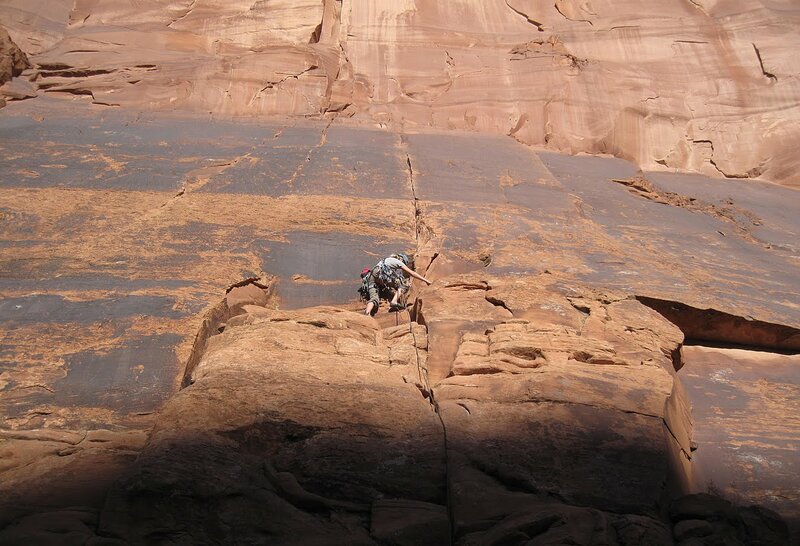 To abridge a very long saga, as climbers advanced and technology increased there came a need to open the scale. As of now the scale has been pushed to 5.15b. Only an elite and highly exclusive group of climbers have ever climbed at this level. But what about those ratings? How do we define them? The challenges in creating a rating system for something as complex as rock difficulty are so numerous that at times the whole endeavor seems ridiculous. On the other hand, while you encounter discrepancies, regional interpretations, differences in rock type, differences in climbing discipline, the YDS has proven to be useful not only as a guide for us to climbs that properly challenge our abilities but also as a tool for measuring our own improvement as well as for comparing ourselves against others. In a previous article, I attempted to broadly define the various levels of the YDS system. All sorts of interesting feedback, both positive and negative, flooded in in response. In this article I seek not to share my own opinion about a single, specific YDS topic, but to explore two different schools of thought when grading rock and terrain. I originally learned the YDS under the impression that the system rated the technical difficulty of the single hardest move. I found this method faulty, because although two routes might be the same in technical difficulty one inevitably be harder for any number of various reasons (i.e. it is much longer). On the other hand it comes closer to removing subjectivity than the other option, the route as a whole, which somehow has to account not only with a climber’s technical ability but also their physical conditioning. For years, I believed wholeheartedly that YDS adhered to the single hardest move philosophy. You knew what an .11b move felt like and if you encountered one on any point of a climb than that was what the climb was rated. Even if the entire climb was 5.7 with a single 5.11b move it would be rated 5.11b. If another climb was stacked with hard moves one after the other with no rests but no single move was harder than 5.11b than the climb would also be rated 5.11b. There is the problem with this method. But still, as a climber, I feel better knowing that the climb will never be any harder than 5.11b (my current redpoint limit) and if I cant pull the route it simply means I need to train harder to build endurance for the more sustained 5.11b. Recently, however, I was discussing ratings with a good friend and a much more experienced climber than myself (he climbed the Diamond at age 16, has bagged numerous big wall routes and committing trad/alpine routes, and currently enjoys redpointing 5.13c in Rifle Mountain Park) talked about how some 5.12a routes in Rifle don’t have any moves harder than 5.11b but are so long and pumpy that they get the 5.12a rating. Clearly this is a route as a whole mentality. In some ways I find this encouraging, because I know I am physically capable of pulling a 5.11b move. In theory, then, if I trained hard enough I should be able to climb this 5.12a. But if I climbed a 5.12a route wouldn’t that mean that I could pull a 5.12a “move”? Or can we not rate the difficulty of a single move? Must we have a series of moves before we are able to generate a rating? The confusion endures…. I’ve often heard people say things like, “It’s basically a juggy 5.7 to a V2 boulder problem with some more 5.7 above that.” Does this mean that the Sherman V-scale is better for rating a single move? 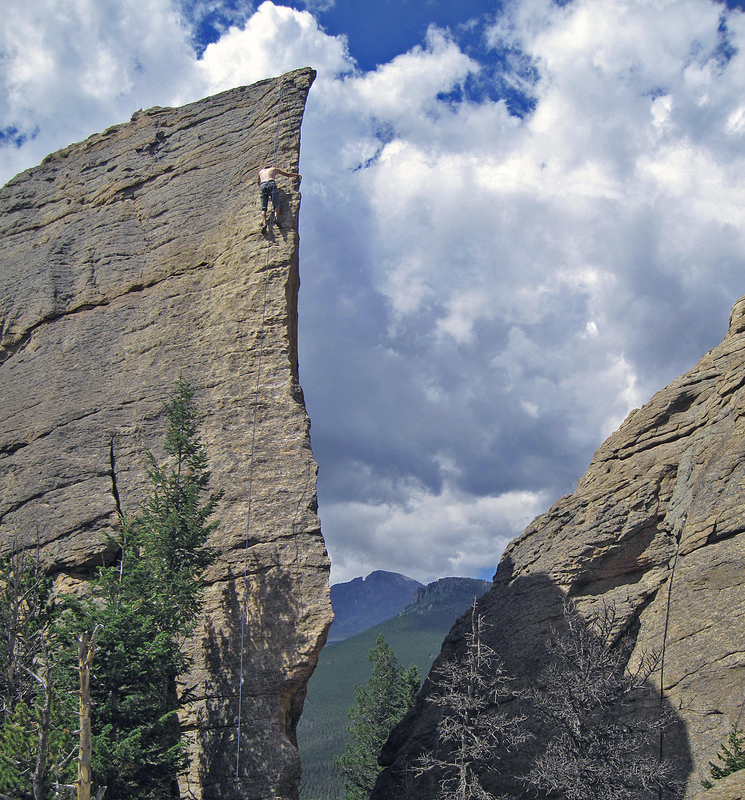 But I have never believed this to be true either, for I have heard some of the best boulderers quoted after applying ratings like V14 or V15 saying “there is no single move harder than V13 but since it is a link-up of so many hard moves, I believe it is V15”. I always believed that the V-scale was designed to look at the boulder problem as a whole and YDS looked at the single hardest move. That same friend led a trad climb of his own at a local crag which he had rated 5.12c. The route was about 30 feet of 5.10c-ish climbing to a crux bulge with easier climbing above that. The crux was only about 3 moves. My friend described it as a V6 boulder problem and claimed to have had a very difficult time rating this climb. He was sure it was V6 but couldn’t for the life of him settle on a YDS equivalent. It was “too hard to rate just a couple of moves” he claimed. With so many factors when it comes to rating a climb, it is amazing that we can even come to a general consensus at all. Still YDS is not without its uses. 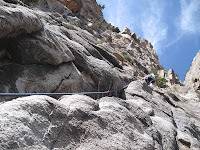 Although it seems like there is a huge variation at times in different people’s opinions about the difficulty of a climb, there is also a general consensus on many routes. I have always looked at the rating of a route based on its single hardest move. How positive is the hold? How big of a reach? What positions do you have to put your body in to make it? All of these factors make up the difficulty of any given move. I liked the single hardest move philosophy because in my mind it made it easier to pin down the given technicality of a specific grade and it eliminates a level of subjectivity about physical conditioning. Recently, however, I have been starting to wonder if this idea is erroneous and that the route as a whole is truly the more accurate way to evaluate a route’s difficulty. I hope here now, to get feedback and see what you all think.